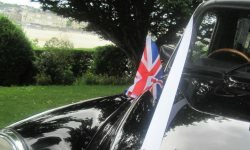 Do you want something different for your special day rather than the ubiquitous limousine? How about the iconic London taxi, recognised throughout the world? Queeny is a retired London cab happily taking on her new life as a wedding car. She can be hired by the hour or to suit your preferences. The minimum standard package is for two hours hire, to enable a journey to your wedding venue and then onward to your reception.